How are you?? I have some beautiful Cancer Awareness polish from Pretty & Polished to show you today! Super excited! 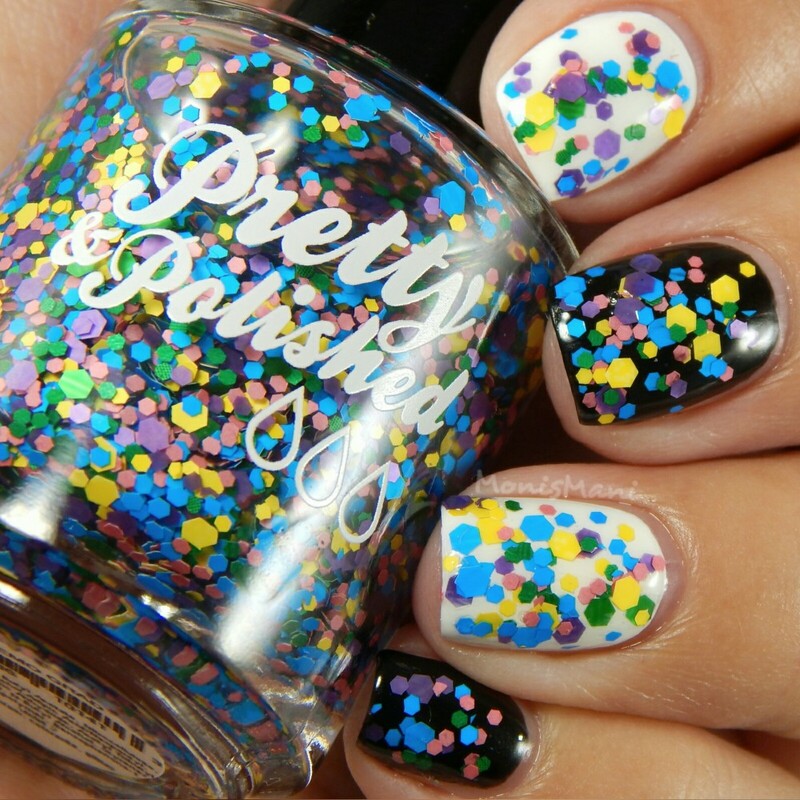 As you might now Pretty & Polished is one of these great brands with amazing product and a huge heart.. which is why Chelsea is always working on new shades to offer in her Charity section. I have four new of these babies to show you so let’s get to it! 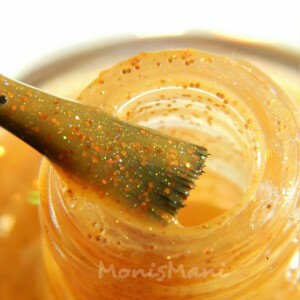 Named and inspired by a customer whose husband is currently on remission from Leukemia, this pretty orange holo jelly has a perfect formula, 2-3 coats for opacity, quick dry (2min in between coats) and look at that pretty twinkle! absolutely love it! and I’m not an orange polish lover at all! three thin coats plus glossy top coat in the pics. 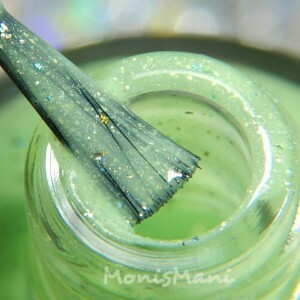 Is a beautiful spring green packed with pale green flakes and multichrome flakes. The formula on this guy was a bit thin but the color payoff is beautiful. I did three coats plus glossy top coat for the swatches. 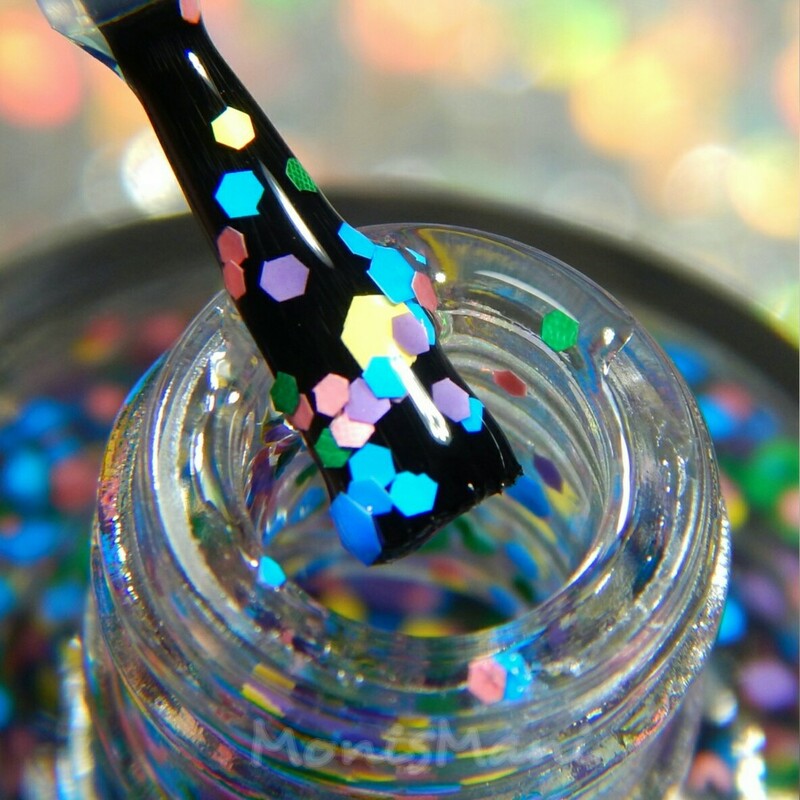 As it should be of course with such a name, this happy and colorful glitter medley on clear base is celebration in a bottle! I did one coat of this bright topper over black and white, topped with one coat of glossy top coat. 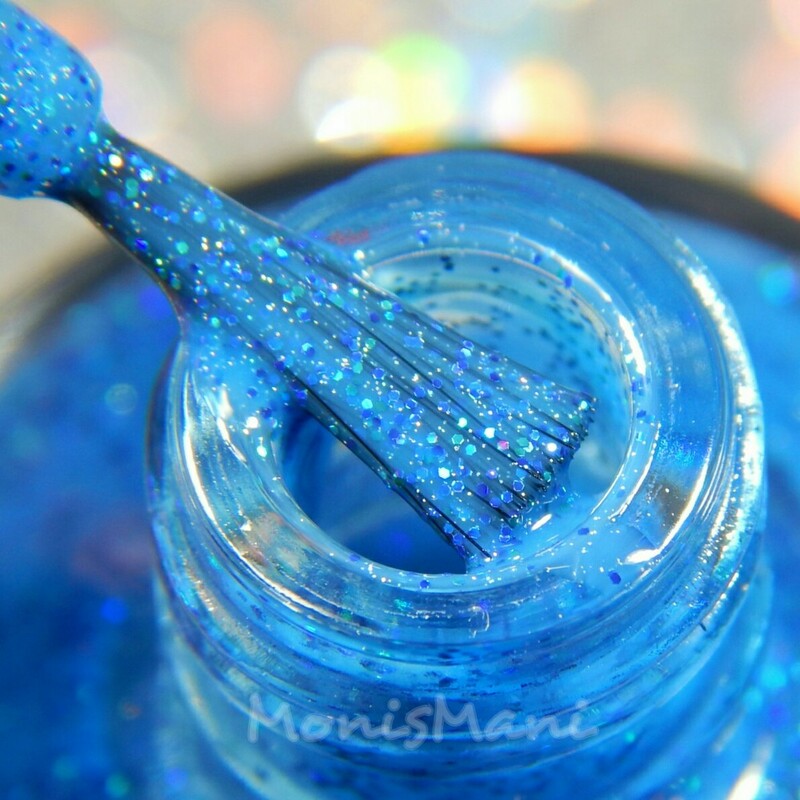 This gawgeous holo micro glitter packed cerulean blue is my absolute favorite of the four! of course bc it is blue and I adore blue nail polish and because, I mean look at it! So beautiful! the formula is absolute perfection, fast drying and 2 coats for opacity. You see two coat plus glossy top coat in the pics. If you like any of these babies please please don’t even think about it twice! go for it! not only will you be gifting yourself a beautiful polish with great formula but you will also be helping raise money for a good cause. What could be better than that?! These babies are available right now in the charity section at Pretty&Polished and retail for $8.50-$9USD Shipping not included. The purchase of these contribute to the Cancer Care Project. These are petty! And your photos are beautiful! I like that proceeds go to a good cause! Thnk you so much!! And yes that’s the best part! This is such a good cause. These are amazing! I love the orange jelly! And I’m sucker for all blue polishes so gawgeous is obviously totally amazing. These are lovely!! Really like that topper! Same here! Celebration in a bottle! March with Me needs to get on mahhh fingers! KILL ME NOW! How are these all so pretty!?! And they do good for the world? Sign me up! Such a sweet collection and they are all beautiful! I love the colors and size of the glitter in the topper. It’s the perfect cheery pairing for any shade underneath! Oh my GOD! That orange is amazing!